One of the best ways to refresh and rejuvenate your face and skin is with Janet Sartin skin care. Pampering a distinct clientele from all over the world, her New York skin treatment institute has developed a loyal following. For over 50 years, Janet Sartin has created wonderful products designed to improve your skin and remove unsightly flaws and blemishes with her time-tested beneficial ingredients. Her products improve your skin with healthy amino acids and vitamins, not just merely covering up or hiding the problem. Healthy skin is only achieved through a continuous beauty regimen of truly effective products designed to enhance your beauty. Listed as the best facial in New York City, Janet Sartin's facial treatments are something to be enjoyed for their rejuvenating and relaxing features. 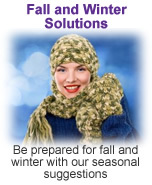 The Janet Sartin Institute also performs the latest in laser hair removal. 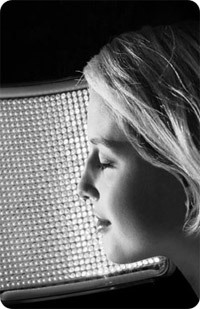 New York City clients prefer the extensive line of deep-cleansing, anti-aging and acne light treatments designed to eliminate wrinkles, blemishes and sun damage. Enjoy a non-surgical lift with the highly regarded facial toning for younger looking and firmer skin. With customers like Nancy Reagan, Janet Sartin has garnered a reputation for uncompromising beauty treatments and products. Many clients have enjoyed her soothing and nurturing skin treatments at her spa in NYC. If you are unable to visit her midtown location, you can still enjoy the many beneficial skin treatments, anti-aging creams and colorful cosmetics available online for your beauty regimen. Once you have experienced the finest in New York skin treatment, you will see the many benefits of younger looking more healthy skin. Click the link to learn more about our New York Spa.